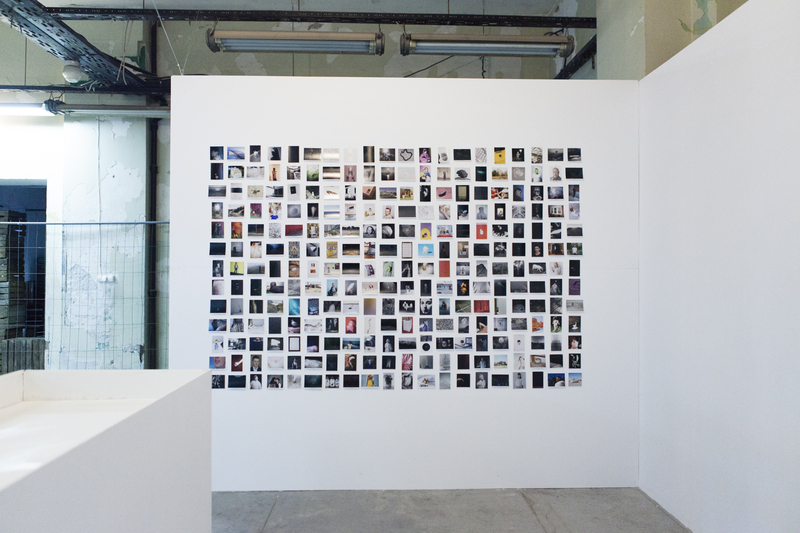 Der Greif has been invited by Lars Willumeit, curator of the Main Program – »Crisis? What Crisis? !« at Krakow Photomonth 2016 – to perform »A Process 2.0« during the opening weekend at the festival centre from May 12 till 15. The project consisted of three physical and one digital presentation spaces. 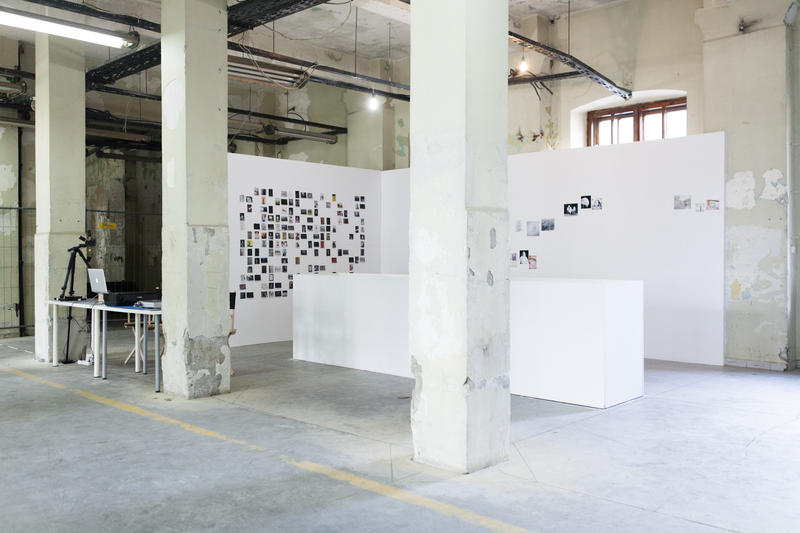 The physical spaces were presented like parts of a white cube rendered into the old tobacco factory, where the festival center was situated. The two walls, at the same time, created a frame for the performance to be given in and were inviting visitors to take a closer look and join the project. 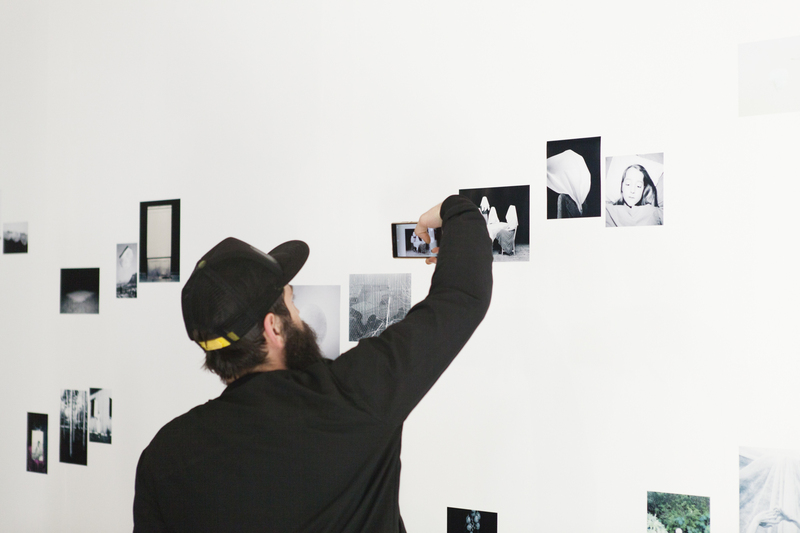 The performance continued to explore similar territories as with »A Process – Ein Prozess« by perceveing photography in its digital form as a fluid medium, its handling with the use of the Internet as well as photography’s haptic stimuli and the common perception of authorship. 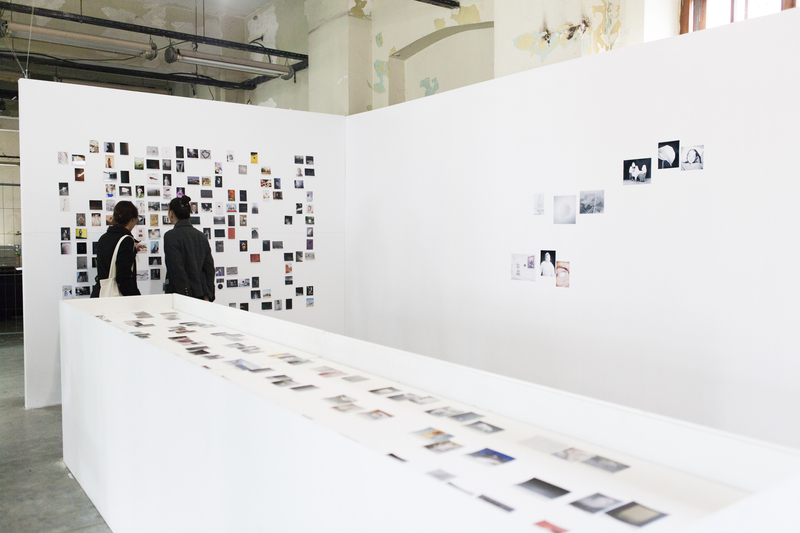 After an open call for entries, the artistic directors of Der Greif made a preselection of 260 photographs. 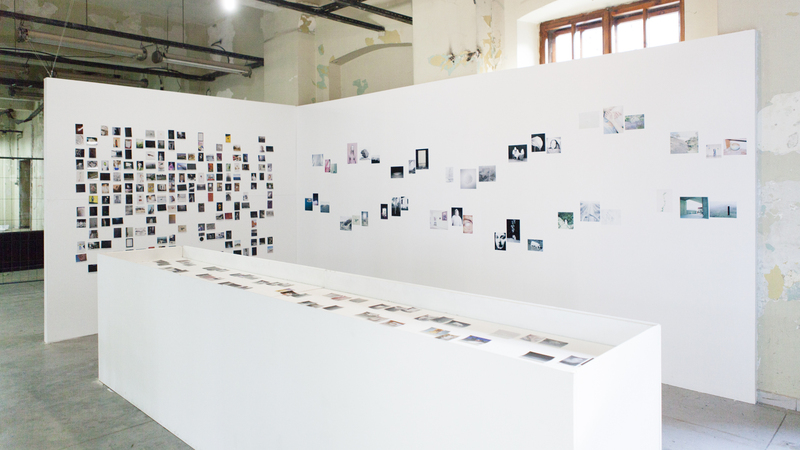 These artworks constituted the basis for the entire exhibition. 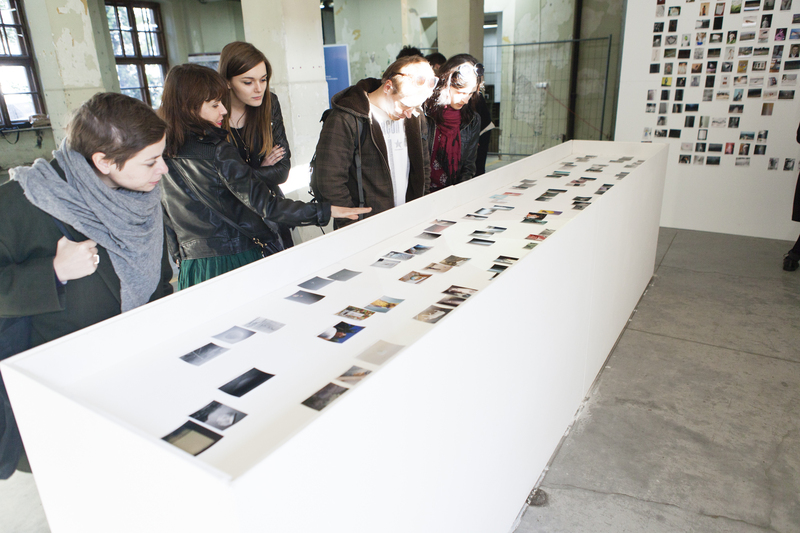 The same open call was curated by Lars Willumeit in a »Guest-Room« in April. This was hosted on the Der Greif website (www.dergreif-online.de/guest-room/lars-willumeit). 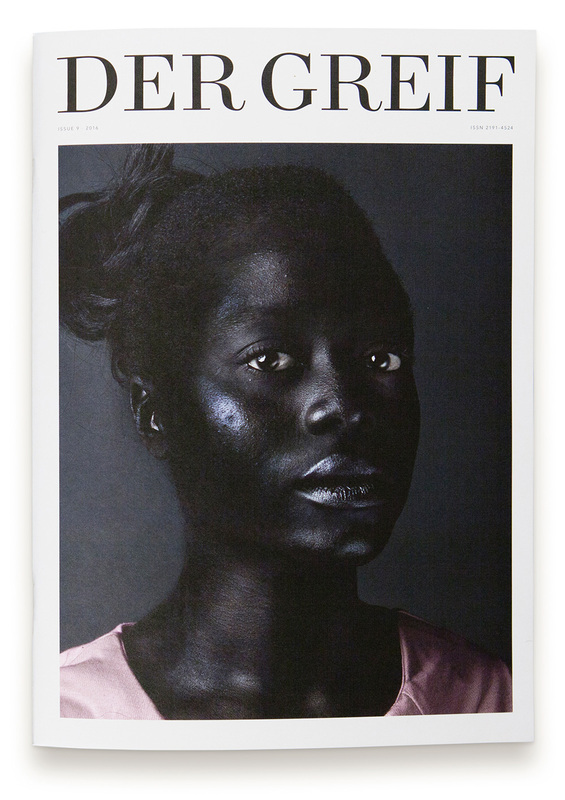 This, once more, enhances the discussion about de- and re-contextualization of single photographic images – both online and offline.